Wordzen Blog - Page 2 of 7 - We write your emails for you. If you like Wordzen but haven’t yet subscribed, you should consider doing so now. Wordzen’s base price is $79/month, but soon we’ll initiate a two-step price increase. The first step... Continue reading "Wordzen Subscription Price Increase Coming"
Wordzen is a monthly subscription service that connects you to live editors who are standing by to write and edit your email messages. Subscribe now on our Pricing page. 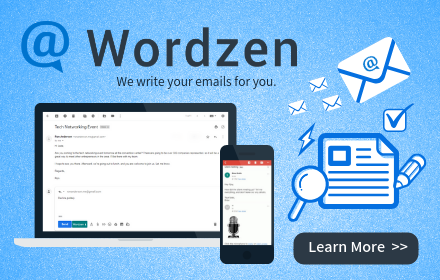 Q: Can I... Continue reading "Subscription FAQ"
If you have installed Wordzen as an add-on to your Gmail account, but you don’t see the Wordzen icon on your screen, you may not be looking in the right... Continue reading "Don’t see the Wordzen icon? Here’s why"